Besides worldly apostasy, nothing has arguably infiltrated churches more than reformed theology. Sadly, this has resulted in large numbers of churches splitting, losing members, and causing conflict. In many cases, these conflicts have resulted in large numbers of believers doubting their faith when struggling with life issues because of a perception that people who are really saved persevere against adversity. What is reformed theology? A Christian study is in order to understand it and how it can affect the believer. 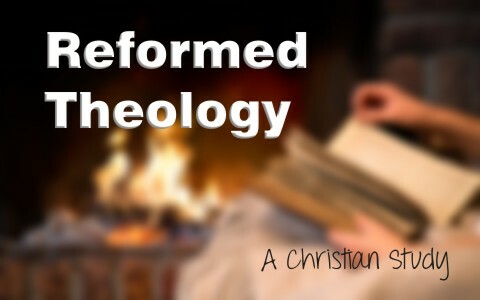 Where did the term reformed theology come from? Generally speaking, reformed theology was a term for the resulting theology adopted by many groups at the time of the Protestant Reformation in the 1400-1500s AD. Later, it came to be referred to as Calvinism, based on the writings of French theologian John Calvin (1509-1564). Calvin, originally a lawyer who broke away from the Catholic Church, argued that the sovereignty of God trumped everything when it came to salvation and all matters of human choice and living. Contemporaries of John Calvin that were reformation theologians often heatedly debated their version of theology. In one case, the conflict became so intense that Calvin was instrumental in the execution of Michael Servetus, a Spanish physician, who supported the separation of church and state and was burned at the stake for disagreeing with his theology (1)(2)(3). This earned him the nickname of the “Protestant Pope” of Geneva (4). What are the tenets of Reformed Theology? T – Total Depravity. Often described as total inability by man to effect anything by himself. Most often this is in reference to salvation, but is carried out to all matters of life because of man’s inherent original sin. When referring to salvation, total depravity, is taught to mean that man is so depraved, that he does not even have the wisdom to comprehend the gospel of Jesus Christ unless God enlightens man by His grace. This enlightening is totally dependent on the sovereignty of God, as carried out in the remaining points. Likewise, anyone who is not enlightened is also subject to their darkness because of the sovereignty of God. Sadly, this makes God the author of life and death and denies Satan’s role, which contradicts Scripture in numerous locations (Joshua 24:14-25; John 1:7; John 12:32, John 17:21; Acts 17:30-31; Romans 5:18; 2 Corinthians 4:1-7; 2 Peter 3:9). U – Unconditional Election. Often described as God’s basis for deciding who gets saved. Building upon total depravity, the light of the gospel shines only upon those whom God decides in His sovereignty may receive it by his grace. Unconditional election means that God has no conditions on who gets saved because He decides who will be saved and who will be sent to hell. This makes salvation only available to those whom God chooses to save. The others are condemned without any opportunity for salvation. Man has no choice to trust Christ for salvation, it has already been predestined by God where he will spend eternity. When confronted with verses like John 3:16, THE WORLD has to be redefined as those whom God chose, not everyone. Or, in John 12:32, when Jesus was lifted up to draw ALL men unto Him, it was only to draw those God chose. Or, in 2 Peter 3:9, when God was not willing that ANY should perish, any is redefined to mean any that God chose. Again, this defies the teaching of many passages of Scripture (1 Timothy 2:3-4; 1 Timothy 4:10). L – Limited Atonement. Often described as who Christ died for. Building upon unconditional election, limited atonement is defined by the claim that when Christ died, it was not for the sins of the whole world, all men, or any person who would perish. It was only for those whom God chose. In other words, the death of Christ only made salvation available to those whom God chose. Others need not apply. This too contradicts Scripture (1 John 2:1-2; Romans 5:12-18; Colossians 1:28; 1 John 4:7-16). I – Irresistible Grace. Often described as the irresistible drawing of a person to be saved. Building upon limited atonement, in order to draw people that God determined to save, those that are chosen for salvation are irresistibly drawn to believe the gospel. There is no choice in the matter, if God chose you for no reason to be saved, you will be supernaturally made to believe the gospel. This too contradicts Scripture in many places (Psalms 73:25-28; Isaiah 12:1-4; Isaiah 29:13; John 6:44-45; John 12:32; Hebrews 10:38-39). P – Perseverance of the Saints. Often described as the ability for those that are chosen by God to persevere in their faith and ability to overcome sin in their life. Building upon irresistible grace, if someone is drawn by God supernaturally, then God also gives them the supernatural power to overcome sin and persevere in their faith. While it is true that we can do all things through Christ, this was historically the basis for the Protestant, or Puritan, work ethic. This teaches that one demonstrated their good works and holy living to others as a demonstration that they were chosen by God. Those who did not demonstrate these works were considered heretics that were possessed by the devil or a witch and killed in some cases (Puritans). This too contradicts Scripture in many places (Romans 12:19; 2 Corinthians 9:13; Galatians 6:9-10; Titus 2:11). The dangerous part of this belief system is that all sorts of unbiblical practices can be derived from it. For example, a young lady who struggled with a drug addiction had been raised as a Calvinist. When she was unsuccessful in overcoming her addiction through Biblical counseling in a non-residential environment, she decided that since she was unable to persevere against her addiction, she must not be of God’s elect for salvation. She gave up and not long after was involved in a horrific automobile accident that nearly killed her. In another example, a famous minister that teaches Biblical counseling advised in his book and at a conference I attended that when someone presents for counseling, you should share the gospel with them. But, if they do not trust Christ, do not press the matter because if you do, you might be sinning because God may not have chosen them to be saved. This confirms a principle that bad theology creates bad counsel. Reformed theology is permeating many churches today. It is a theological system that came to be during the Protestant Reformation. Although some tenets were promoted long before this time, it eventually focused on matters of sin, salvation, and man’s relationship with an all-sovereign God as represented in the writings of John Calvin. It can be summed up using the TULIP acronym, with each letter describing one of five points. Reformed theology contradicts Scripture in many places and is responsible for many cases of incorrect life application of Scripture. Because reformed theology is embraced by so many people, the references in this article as well as a deep study of predestination versus the foreknowledge of who would love God in Romans 8 should be studied by the reader. Related reading: What Does the Bible Teach about Free Will and Predestination? Dr. Williams, Thanks for writing the articles you do. I’m learning a lot. Previous post: How Can A Christian Have Peace That Transcends Understanding?